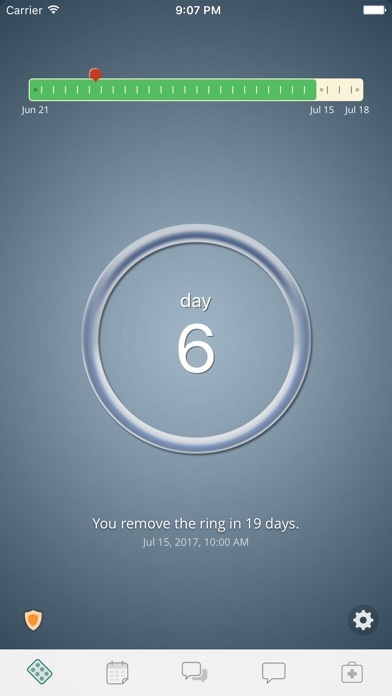 The purpose of this app is to remind you when to take your pill. It also has a community where you can chat, share and discuss with other users. Y’all I downloaded the app just so I could write this review. As a potential downloader, I checked the reviews. Any bad review and the developer response is very snarky/passive aggressive. Hun don’t add an emoji at the end if you’re just being rude. A kissy face doesn’t hide your clear inability to accept a bad review. This is a place for people to share their OPINION on the app. They’re allowed to not like the pricing. You don’t have to respond like “yeah well we need the money because real life isn’t for free”. I don’t even care if the app is good or not, after seeing your inability to act like an adult, I refuse to use your product. Fix your attitude, because you lost someone using your product. Customer service is about being considerate and helping the customer. Not telling them the harsh realities of life that they probably already know. Thanks. Edit: so the developers clearly don’t care. But if you are considering buying this app and are reading this review, do not support these rude people. It’s one thing to charge. And guess what, people are going to complain. That’s a harsh reality of life that these developers clearly can’t handle. But you don’t have to be a-holes. If you can’t deal with unhappy customers, don’t be in customer service. I highly recommend looking elsewhere for your daily reminders. Not only for the extra charge and bugs, but because these developers don’t deserve your loyal service. And to the developers, seriously, how can you possibly think what you’re doing is proper customer service etiquette? The customer isn’t always right, but y’all also could consider not being so snarky because no one wants to support sh*tty people. This is an amazing app! I think it’s so bad that this is an app meant to help me, but because I don’t have the full version I can’t help keep track of myself to the fullest extent.. This is the only app I will ever use! 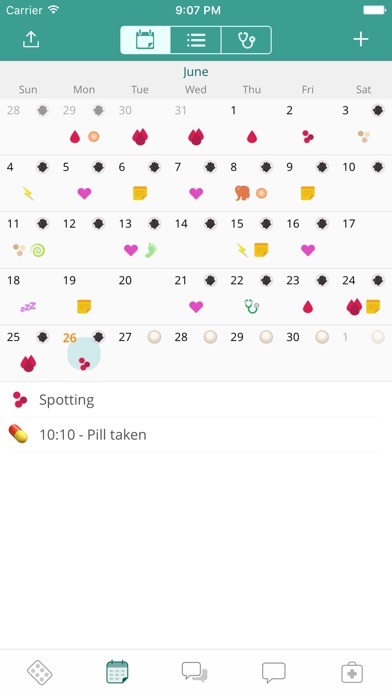 I don’t even have to open the app to mark my pill as taken! I’ve been using this app for the past 4 years. It’s great a for remind you when to take your pill but when I go and log in my symptoms on the calendar and make a note when my period started and ended, somehow every time after two weeks all the data erases. 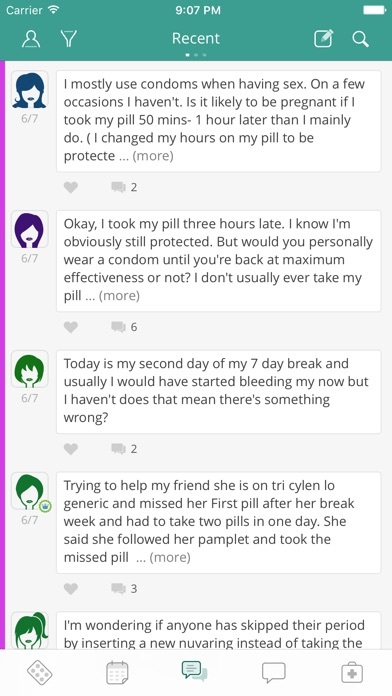 Idk if this is a glitch but it would be nice if you guys can fix it so I can keep track of my symptoms and my period. Thank you! 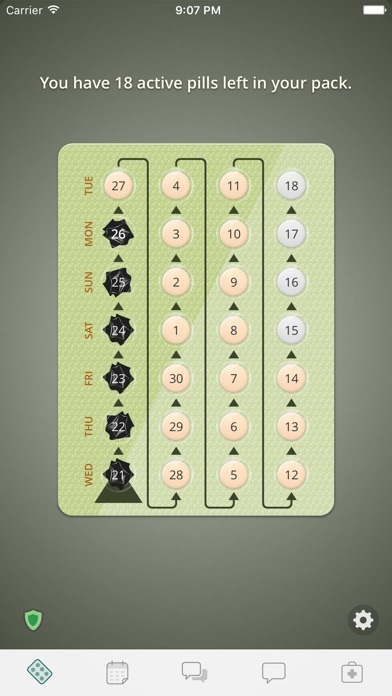 A really great way to track your birth control if you’re forgetful like me. I really do like the app since it does exactly what it’s supposed to do. 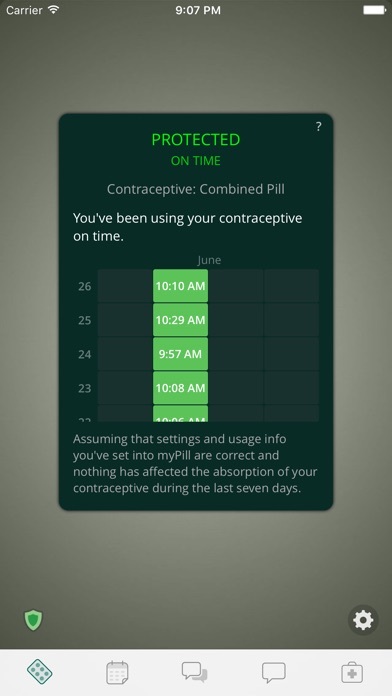 The only thing is when I put in the app that I took my pill it still reminds me every 20 minutes after to take it even though I already put it in there that I took it.